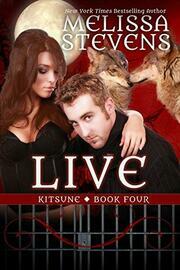 The final book in the Kitsune series, Live begins as Nickie recovers from dealing with a traumatic loss. Brandon is in custody, trying to earn pack redemption while helping locate a pair of killers. A pair of Kitsune from out of town show up asking for her help and Nickie realizes that word of her Talent is spreading. Her life is changing fast, but is it for the better? Nickie has to figure out what she wants and how to achieve it but first she has to survive what life’s throwing her way.